The Iteaduino Nano is a tiny breadboard friendly Arduino compatible microcontroller. 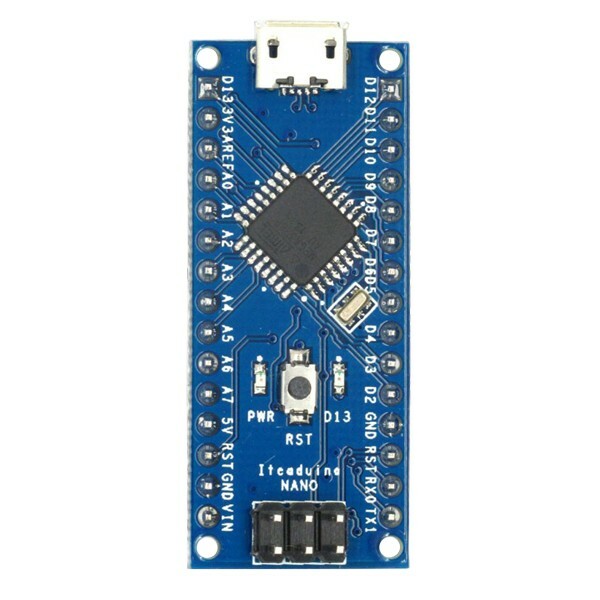 This microcontroller is compatible with the Arduino Nano R3 but has a lower cost serial USB controller for a reduced price. It has an Atmel ATmega328 processor with a full set of I/Os available at the pins. This tiny microcontroller offers a full range of input and outputs. 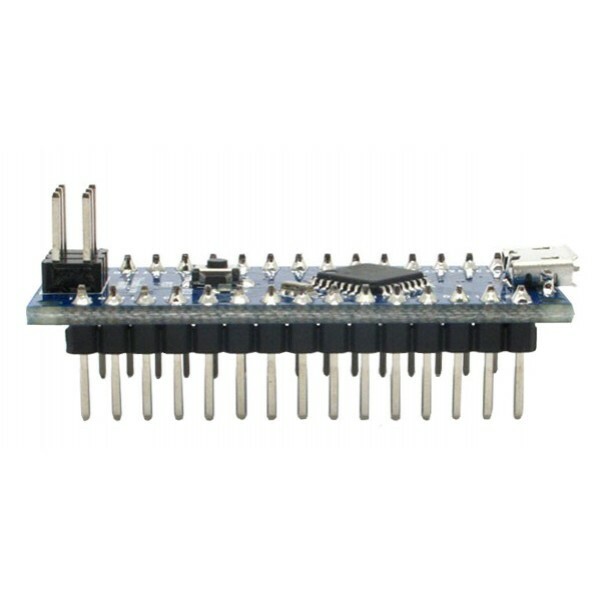 There are 10 Digital GPIO General Purpose Input Output pins featuring 6 that can be used for PWM Pulse Width Modulation, 2 as external interrupt sources, and a few for special purposes such as TTL serial and SPI. A set of 8 Analog inputs with 10 bits of resolution are also available. Analog pins 4 and 5 can also be used for I2C. The Iteaduino Nano is powered from Micro USB, un unregulated 7-12V power supply input to the VIN pin or your own regulated 5V supply at the 5V pin. 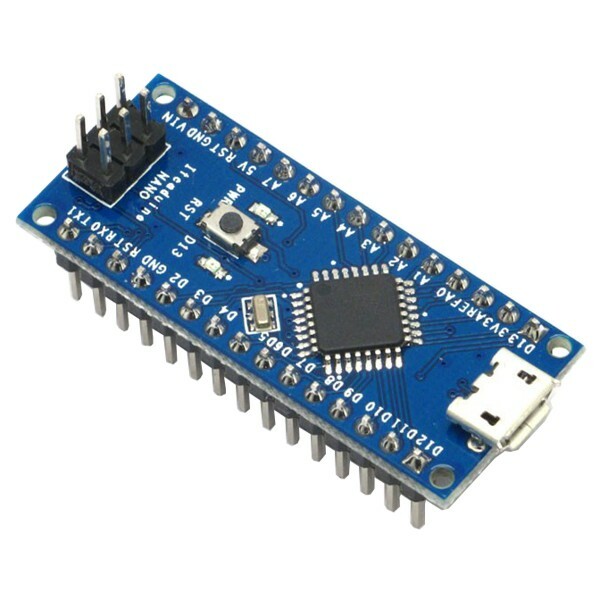 Please note that this microcontroller uses a CP2102 serial to USB controller that requires a driver installation. Drivers are available for Windows, Mac and Linux. Once the drivers are installed, it will work with the popular Arduino IDE Integrated Development Environment.